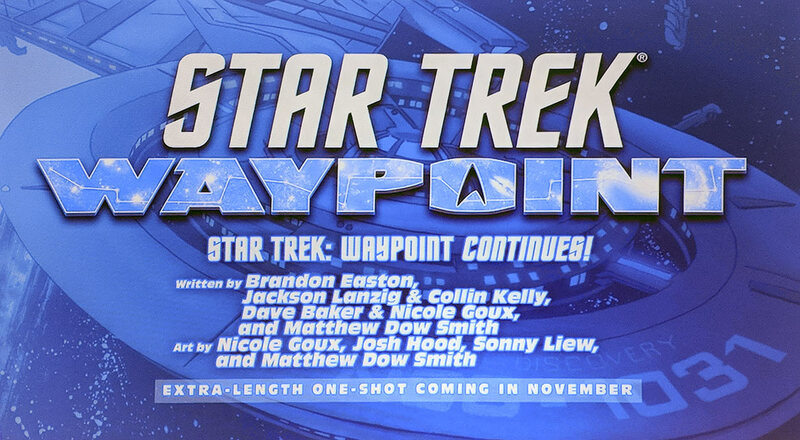 Just solicited this month is Star Trek: Waypoint. This is IDW Publishing’s anthology format Star Trek comic, and it’s returning for this special, oversized one-shot. It’s going to feature three stories set in Star Trek’s prime timeline. One will focus on the characters from Star Trek: Deep Space Nine, another on Star Trek: The Next Generation, and the third will span “the entire length of Trek history” according to IDW’s new Star Trek group editor Denton Tipton. Confirmed characters include James T. Kirk, Spock, Data, and Ezri Dax. IDW says these weird and wonderful stories-set during the Original Series, The Next Generation, Deep Space Nine, and more-expand on rarely explored corners of the universe or provide closure for long-forgotten plot threads. But they all remind us of why we love Trek and these stories will be handled by the top creators of today and the future! Writing the stories are Brandon Easton, Jackson Lanzig & Collin Kelly, Dave Baker & Nicole Goux, and Matthew Dow Smith. Artists are Goux, Smith, Sonny Liew, and Josh Hood. 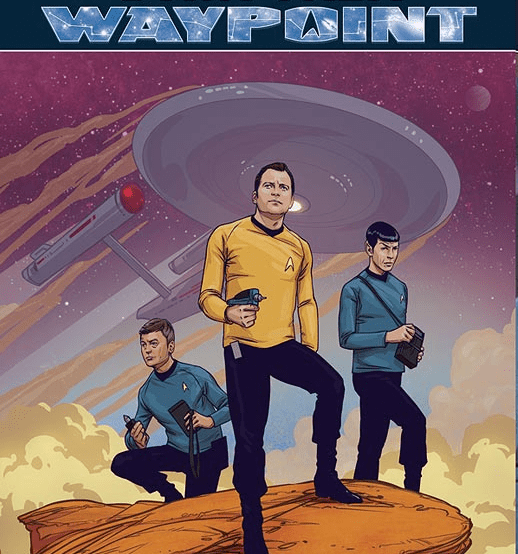 Fans of IDW’s Star Trek comics may remember that Star Trek: Waypoint was originally a six-issue anthology miniseries released bimonthly from 2016-2017 and it was met with mostly positive reviews. That mini-series, launched during Star Trek’s 50th-anniversary celebration, featured stories that spanned the entirety of the Star Trek franchise’s history. Every Star Trek television series that came before Star Trek: Discovery was highlighted, and the final issue even touched on Star Trek: Phase II, Gene Roddenberry’s unproduced TV sequel to Star Trek: The Original Series. After the recent announcement that the new CBS All Access had made a deal with Sir Patrick Stewart to reprise his famous role in an all-new series for the streaming service, perhaps a series spotlighting Jean-Luc Picard is also in the works at IDW Publishing. If you’re a Star Trek fan, this one-shot should be worth your while. Check it out in this month’s Previews and pre-order your copy today at your LCS.